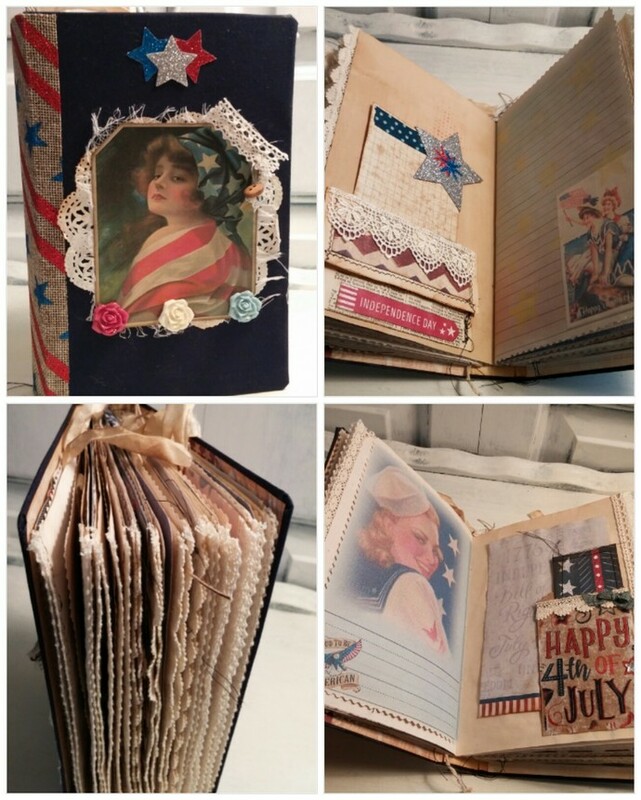 This is a OOAK patriotic writing junk journal! The cover is covered in a blue fabric. The digital kit used in this journal is the Red, White and Blue Patriotic by Studio 28E. There are 3 signatures with a total of 116 page sides, front and back. 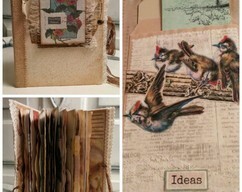 You will find lots of tuck spots and pockets filled with OOAK tags and journaling cards. 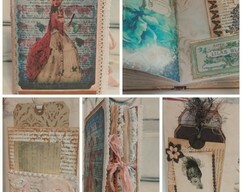 Throughout this junk journal you will find lots of lace and blue and red stenciling. There is lots of space in here to write and put pictures. 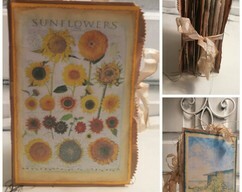 Envelopes in every signature to tuck precious mementos in. 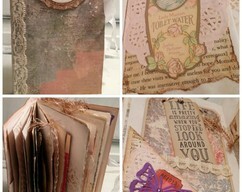 You can find a flip through of this junk journal here.